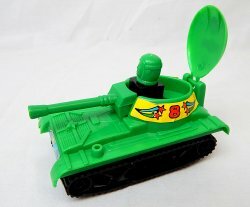 Welcome To The ToysoldiersdepotJanuary 15th, 2019Just got in a large collection of pre-owned tanks! See the Plastic Tanks Category and look for pre-owned!December 28th, 2018 New In Stock...Itateri 1/72 Scale Operation Silver Bayonet Vietnam War Diorama Set! New In Stock...WWII German Afrika Korp figures in Tan and Grey, 20 figures sets includes copies of Airfix and Marx figures! Also in stock...4 New LOD Revolutionary War soldiers sets! New In Stock! Italeri Beau Gest Diorama Playset in 1/72nd scale! Also new from Italeri 1/72 Scale French Foreign Legion 6054, Arab Warriors 6055, and British Infantry and Sepoys Colonial Wars 6187. New from Miniart 1/35th scale Anti-Tank Obstacles Set 35579 and Orion 1/72 Set 72049 WWII U.S. Army Tank Crews Summer Dress set! New in Stock Italeri Diorama Sets in 1/72 scale...American Civil War ITA6179 and WWII Battle Of Malinava 1944 Eastern Front ITA6182...also more 1/72nd scale First To First Early WWII model kits! New in Stock...Italeri 1/72 SdKfz 265 Kleine Panzerbefehlswagen Tank Plastic Model Kit 7072! New In Stock Mars 1/32 WWII German Elite Division and 1/72 US Infantry with 37mm guns, Japanese Imperial Infantry, German Elite Division and Panzergenardiers! Also Mars Nap British Infantry! New In Stock Russian WWII Airfix and Marx Type Solder Sets and BMC 54mm WWII Marines Bagged Sets! 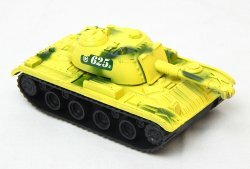 Now Offering A New Selection of Warlord Games 28mm 1/56th Scale WWII Bolt Action Figures and Tanks Sets! New in Stock...Italeri 1/72nd scale El Alamein The Railway Station Battle Diorama set! No 6181 with Railway Station, Water Tank, Figures, Tanks, and more! New in stock...Dark Alliance 1/72nd Scale Fantasy War Trolls Sets (3 Diff sets), Orc Catapults, And Fire Demons (2 Diff sets)! 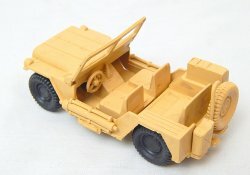 Just added about 25 different Strelets 1/72nd scale sets! Includes Medieval, Great Northern War, Napoleonics, Crimean War, Colonial Wars, and WWI! Back in Stock! BMC Toys Tiger And Sherman Tanks, Higgins Landing Craft, and Amtrac...all with new sticker sheets for added details! Also back is a new and improved Bombed Out Farmhouse, and D-Day and Iwo Jima Figure Sets! Back in Stock multiple Marx and MPC items! Includes Bunkers, Vehicles, 88mm's, Rev War Character Figures and Accessories, Untouchables Accessories, Knights, MPC Castle, and more! New In Stock...Italeri 1/72 WWII Battle Of Arras Diorama Playset and Italian Autocannon Truck Kit. From Revell...1/72nd T-55 and SD Kfz with Pak 40. AIP Spanish American War Deluxe Set 5706! New in stock Italeri 1/72nd Wargaming WWII Vehicle Kits! Each box contains two quick build wargaming models...sets include U.S. Half Tracks (7509, 7510), M7 Priest (7513), German Half Track (7516, Panzer IV (7514), and Sherman tank (7521). Also New In Stock Revell 1/72nd Wespe (3215), M7 Priest (3216) and Panzer II (3229). Also Back in stock...Armies Of the World WWII Soldiers Sets! New Sets in Stock! Mars 1/32 Scale Vietnam AVRN South Vietnamese Army and 1805 Russian Heavy Infantry Grenadiers! Also from Mars...1/72 XVII Turkish Heavy Artillery 72101, Austrian Infantry 72102, and Turkish Infantry 72104! 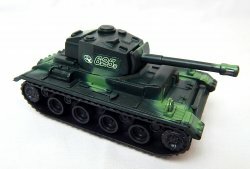 New Caesar Miniatures 1/72 in stock! Includes CMF29 Ancient Chinese, CMF34 WWI French Army, CMF 96, 97,98 Speciality German WWII Sets, and CMFHB5 Panzer Crews in Great Coats...Also in Stock Hat US and German Tank Riders! New In Stock Italeri 1/72 Scale The Last Outpost 1754-63 French And Indian War Playset and Revell 1/72nd Scale 7 Years War Austrian and Prussian Infantry Double Box Set! Back in Stock...New Ray Wagons and Stagecoach Boxed Sets, Hat 1/72WWI Highlanders, WWI Indian Infantry, and Dervish Warriors, and Italeri Parthenon Model Kit! Two New WWII Soldiers Sets Now In Stock...WWII German and American Infantry packs...nicely done Airfix clone figures in 1/32nd scale! Back in Stock LOD (Barzso recasts) American Revolutionary War and Sherwood Forest figures! Also, back in stock ACW 1/32 Confederate Tennessee Infantry! Now In Stock...AIP Egyptian Camel Corps! Also, We will be attending the Gettysburg Toy Soldier Show this sunday April 23rd...Eisenhower Hotel And Conference Center, 10am-3pm! Painted Plastic Napoleonic Sets Are Now Back In Stock! Toy Soldiers Depot will be attending the Heart Of The South Toy Soldiers Show Sat Feb 25th at the Annandale VFD Community Center, 7128 Columbia Pike, Annandale VA 22003 from 9am-3pm hope to see you there! Now In Stock...Mars 1/32nd Scale Vietnam War US Infantry and North Vietnamese Army figures! 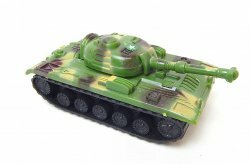 New In Stock...Elite Ops 2 Pack Green Vs Tan Tanks and Soldiers Sets! Back In Stock WWII Armies Of The World Figure Sets! Two New limited Edition TSD Playsets added! Battle Of Corinth 146 BC and Jason and the Argonauts Skeleton Battle playsets! and also New In Stock Dark Alliance Fantasy Sets featuring Trolls, new Amazons, and Cimmerians figures sets! New in stock...Italeri 1/72nd boxed diorama sets! See category New Boxed Playsets...includes WWII Operation Cobra and Bastogne, Roman Pax Romana, Zulu Wars Roarke's Drift, and Waterloo La Haye Sainte! Now Carrying PST 1/72nd Scale Model Kits! New In Stock Ceasar Miniatures WWII Sets and Orcs! And More Perry Miniatures sets! New in Stock...Toy Soldiers of San Diego US Vietnam US Marines and North Vietnamese Army figures sets! 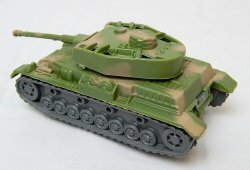 Back in Stock...Marx 88mm and 155mm artillery, MPC Jeeps, APC's, Bunkers, and Cave Formations! New In Stock, oversize Armies In Plastic figure sets! Includes Egypt & Sudan, Boxer Rebellion, Zulu War, and Morocco Sets...23.99 double size with extras! Toy Soldiers Depot will be attending the Heart Of The South Toy Soldier Show June 5th, 9am-3pm 7128 Columbia Pike (Annandale VFD Community Center) Annandale, VA hope to see you there! 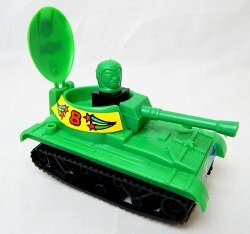 Toy Soldiers Depot will be attending the Va War Museum 'Toy Soldier Show" this coming May 14th...check out their website at https://www.warmuseum.org/ for more details! New Diorama sets in stock! Includes polybagged 'Farm', 'Tropical', and 'Ocean Sci-fi" sets! The Long Awaited Restocks have Arrived...Back in Stock Armies Of The World! German, French, Italians, and more! New In Stock...Zombies! Packs of 12 Walking Dead style figures for 3.99! Look in the Police, Fire, Other Figures Category! Restocks Americana Wagon Sets, ACW Cavalry, Infantry, Buildings, Alamo Figures, and More! Keep Tuned to this page for more News soon! New In Stock...New Ray Country Life Farm Animal Sets! You can find them in the Plastic Farm Animals and More Category, nicely detailed sets of different farm animals, for your dioramas or battles! 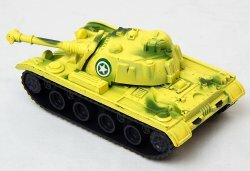 Also back in stock...New Ray King Tiger batt op tank and Willys Jeeps! More stock coming in soon! 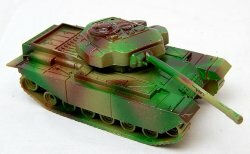 New in stock...old stock Imex 1/87th Diecast German Leopard and US Sheridan Tanks! New items In! Including CTS Mexican Infantry, WWII German sets, and Korean War Chinese! 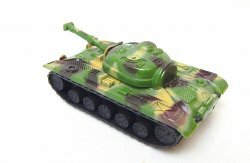 About 12 new Minitanks vehicles in stock, new Miniart Models 1/35th Scale building and diorama accessories (see the Miniart models category), 28mm Warlords Games Rev War Figures sets, and Mars 1/72nd sets now in stock! Now In Stock...Mars Models 1/32nd Vietcong Figures, Afghan Mujahideen and Russian Infantry, and 1/35th Russian Riot Police! Also in stock...a very cool Italeri Parthenon Ancient Greek Temple model kit! Also back in stock limited quantities...BMC Iwo Jima Figures set! Now Offering Hataka Model Paints sets! Now in stock Fireforge 28mm Steepe Warriors! 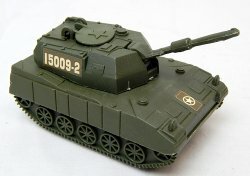 Now offering several new lines of 1/72nd scale military model kits! 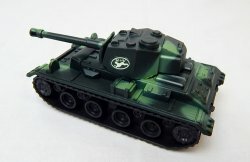 Includes Unimodels which makes quite a bit of speciality WWII Vehicle kits...also in the 'other military 1/72nd model kits" category you will find Minirons (Spanish Civil War), Toxso (some great modern accessories kits), and Military Wheels Models (more tanks variety)! Back in stock Emhar American Doughboys and Vikings! Now In Stock Armies In Plastic Fort Kandahar And Fort Morocco Playsets! Each playset comes with a large fort, accessories, and 60 figures! Well the Holiday Season is over and now come the restocks and some new items! From Armies In Plastic Battlefield Combo Sets in several different eras...these sets come with two opposing armies, for instance U.S. Marines and Taliban, or British Army vs Dervishes, and more! Also now in stock Revell 1/76th scale German Infantry, Pak 40, and other sets! 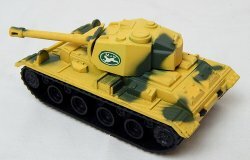 Also discovered some Imex 1/87 diecast tanks! More items coming soon! New In Stock Red Box 1/72nd Scale Figures Turkish and English Sailors and Russian War Monks, both XVI-XVII Century! Now In Stock...LOD Enterprises War Of Troy Ancient Greek Warriors Sets! 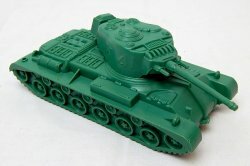 Back in stock, limited quantities of Recast WWII Timmee US Soldiers! And also new sets of wargames Dice! Two new Caesar Miniatures 1/72nd scale sets in stock...Modern Zombies and Undead Camp Zombies! Now In Stock...Marx recast Boonesboro Pioneers in Green as Rogers Rangers! 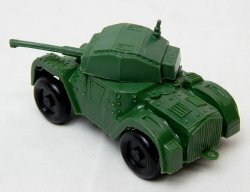 Back in stock...Marx and MPC Cannons, vehicles, and various accessories! Toy Soldiers Depot will be attending the HMGS Fall-In Wargaming Convention Nov 4-6 in Lancaster, PA! All Victrix 28mm Figures sets are now on sale, approx 25% off! Several HAT Sets new in stock including Rome's Enemies, Gothic Army, War Elephant, and more! New In Stock Dark Alliance 1/72nd scale Zombie Figures sets 1 and 2! Revell Of Germany 1/72nd Battle Of Waterloo 3 Armies set! New Red Box And Mars 1/72nd scale figures in stock...also offering a Maco 1/72nd scale Military Model kits! Now offering Brictek Lego style building sets! Also now offering a range of Js Work Models Diorama sets and Paragon Scenics and Minatures Western Figures sets! 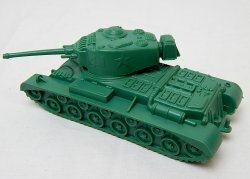 Now offering ICM Models Plastic soldier and vehicles plastic model kits! Added several new items today...Vikings Tub Set jam-packed with accessories! Also Ancients Set 58885 with chariot, and 55978 Knights and Castle playset! Now Offering the Zvezda Models and Figures Line on our website! Now in Stock...Timmee Recast Fantasy Battle, Galaxy Team, and Frontiersmen figures sets! Made in the USA, from the original molds! Back in Stock limited quantities of Armies Of The World WWII Soldiers sets...this may be it for awhile, not sure if the distributor will be ordering more, we basically bought all the remaining stock they had! New in stock...more Unimax Forces Of Valor 1/32nd scale Diecast military vehicles! Toy Soldiers Depot will be attending The Heart Of The South Toy Soldier Show Feb 21st at the Annandale VFD Community Center 7128 Columbia Pike Annandale VA 22003 9am-3pm 5.00 admission. Now offering Forces Of Valor Unimax Diecast Vehicles And Aircraft Detailed Models! 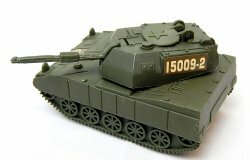 Now offering the complete line of ACE 1/48 and 1/72nd plastic Military model kits! We now are offerint Italeri Products Lines! Over 500 different pcs, from Armor and Aircraft Model Kits to Figures in 1/32nd and 1/72nd scale, and much more! Check out the new Category and Sub-Categories! A couple of new sets in stock from Austin Miniatures...1/32nd western Cowboys and US WWII Marines! 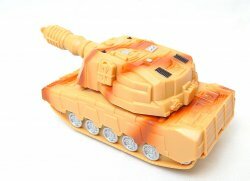 Compatible with TSSD figures, you'll find them in the western and World War II categories! We just added two new large Airfix 1/76th scale playsets...WWI Western Front and D-Day Operation Overlord! Check out the New Boxed Playsets Category for these items, they are jam-packed with stuff! We have some exciting news to share with everyone! We've moved to a new Warehouse! Consolidated quite a bit of stuff into one larger space now with lots of room to grow! And the best part...finding all sorts of 'treasures" that had been previously forgotten or hidden away...look for more updates on our Facebook page (see the link on left to join) for some exclusive offers of stuff for sale only on our Facebook page in the coming weeks...and look for some very cool 'warehouse" finds being added to the website! Thanks for the continued support as we grow Toy Soldiers Depot! October 15th, 2014 Now offering Vallejo Acrylic Paints for your figures and models! Over 800 products including individual paint bottles, paint sets, and more! See our main page for the category link or side bar under 'Paints & Hobby Suppiles'! October, 13th, 2014 New in stock...more First To Fight WWII Vehicle quick build model kits, HAT 1/72 WWI, British, Bengal Lancers, and more, Bolt Action Vehicle kits! October 6th, 2014 Now Offering the complete line of Revell Of Germany 1/72nd 76th Scale Soldiers Sets and 1/72nd Scale Military Model Kits! 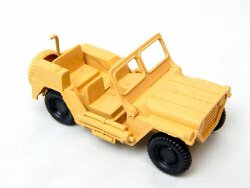 Now also offering 1/87th Scale Herpa Minitanks Vehicles! September, 29th, 2014 Two new TSSD sets in stock! Alamo Mexican Helmet Lancers Cavalry set and WWII German Soldiers Add on Set! Both really nicely detailed! September 12th, 2014 Now offering the complete line of Hat Industries Figure sets! Over 300+ products, 1/72nd, 1/32nd, and 28mm gaming figures, Hat produces quite a bit in the Ancients and Napoleonic Eras! September 10th, 2014 See our main page for links to all the new lines of figures sets we are now offering! Also new in stock...Revell /32nd Scale WWII U.S. Infantry! August 26th, 2014 Now Offering Dark Alliance 1/72nd scale Fantasy figure sets and Ykreol 1/72nd figure sets...some very unique sets from these companies! August 25th, 2014 Now offering Mars 1/72nd Scale Figure Sets...some very unusual Historical lines offered! August 23rd, 2014 Now offering the complete lines of Valiant and Caesar 1/72nd Miniature figures sets! August 15th, 2014 Now offering Linear-B 1/72nd boxed figure sets. These unusual sets are based mainly on the Roman Empire and Spartacus, with many civilian poses and actitivies. August 14th, 2014 Now offering 28mm Wargames Factory plastic wargaming figures sets! These plastic multi pose figures cover a variety fo historical eras, perfect for wargaming, and even have Zombie Hordes! August 13th,, 2014 Now Offering the entire A Call To Arms 1/32nd Figures Set Range! Look for them in the 16th to 1th Century, American Revolution, and American Civil War Categories! June 25th, 2014 New in stock...Revell 1/32nd scale German WWII Infantry and Airfix re-issued 1/72nd scale Gun Emplacement and Coastal Defense Forts! June 3rd, 2014 Added a couple of new items this morning...Marx exploding machinegun nest and Reamsa French Napoleonic Soldiers sets! May 8th, 2014 Now offering a selection of Woodland Scenics and Scene-A-Rama Diorama sets and accessories! Great quality and very nicely detailed sets for your dioramas, battles, and wargames! Also now in stock...Billy V Hing Fat ACW soldiers and cavalry set and US paratroopers set. April 30th, 201 Now offering Perry Miniatures 28mm hard plastic ACW Artillery set and their new AWI sets! Also now offering Tabletop Workshop 28mm Medieval Buildings...perfect for wargaming! April 25th, 2014 New in Stock Medieval Knights 28pc Set! Copies of Timpo knights, only 2.99 a bag! Also more stock of Skeletons (now you can make an army in the thousands!) 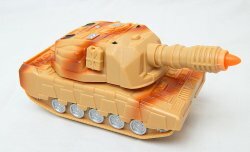 HO Tank sets, and BMC Clone Marines! April 21th, 2014 And New items keep coming in! Now in stock...Forest and Desert Style landscape sets...with various trees, rocks, cactus and more! Also in stock, new Viking Barbarian warriors...Stylized Roswell Alien type figures, Insect, Dinosaurs, Wild Animals, and Ocean Creatures sets! 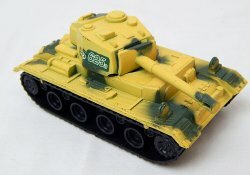 April 18th, 2014 New in Stock...New Ray 1/32nd Battery Operated German King Tiger and Tiger I tanks! Similar to our other New Ray vehicles, some assembly required, these come with small motors! Also back in stock...New Ray Willys Jeeps, Covered Wagons, and Stagecoaches! Back in stock also..many of the Americana BMC ACW, Alamo, Rev War sets and accessories! More new items coming in next week! April 17th, 2014 New in Stock...Billy V 100pc Western Bucket playsets! These are packed with all sorts of western stuff! Also back in stock...Billy V Indians, 40 German WWII soldiers sets, and a nice variety of Imex 1/72nd Historical sets...these come with twice the figures as a box set, and about 1/2 the price! Rev War, Alamo, ACW, and more! Alot more items coming from distributors in the next few days, keep checking back! Also now in stock...Desert and Forest Landscape diorama sets, Alien and Vikings figures, and wild animals, 'giant insects', and dino bagged sets! April 15th, 2014 New in stock...Airfix Reissue 1/32nd scale WWII Bamboo House and Frontier Checkpoint model kits! Nice pieces that havent been around for some time, perfect for Pacific and European WWII battles! March 12, 2014 New In Stock Marx Recast 7th Cavalry figures in Blue and Grey! Also Marx Daktari Hunters and Natives, and Artic Explorers! Also new in stock First To Fight Model kits in 1/72nd scale, early German & Polish WWII Vehicles! February 24, 2014 Major Marx and MPC restocks in today! Some new surprises coming soon with recast Marx items! January 21st 2014 Now offering 28mm wargaming figures from Fireforge Games and Perry Miniatures, see the 28mm Wargaming Soldiers sets category for sets! January 17th, 2014 Well, seems the new WWII 'Armies of the World' soldier sets are quite popular! We have several more boxes on their way to TSD, should have them back in stock on the website sometime this coming week, thanks for the interest! January 14th, 2014 New in stock Armies Of The World WWII soldiers Sets! U.S., Japanese, Germans, Russians, Italians, Chinese, French, and British! Looks like a mix of new poses, neat figures that have been talked about for some time! Also in stock..new Western Town Front Buildings! Sheriff, Army HQ, and Saloon buildings! December 17th, 2013 We are going back to 'our roots" and have some Some very cool new made in China items in stock this week! Happy New Year! Just got in some restocks of the Marx medieval lines, including recast knights, catapults, low walls, accessory sets, and trees/stumps! Very limited quantities! Look for us to be restocking items throughout the coming month! Brand NEW in Stock! More Airfix re-issue 1/32nd Scale WWII sets. Include German Soldiers, German Paratroopers, US Paratroopers, and British Infantry! All really nice sets! 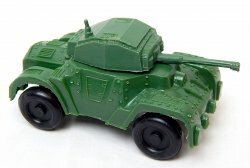 Also in stock recast Marx Battleground playset pillbox! We will be setup at the "Heart Of The South" toy soldiers show in Annandale VA on Dec 5th. Address is 7128 Columbia Pike, Annanadale VA, 22003 show times are 9am-3pm, admission is 5.00, kids under 10 free with adult. Its a nice regional show, hope to seeya there! We'll also be that 'The Little Giant" toy show the following day same location and times!